Posted October 19, 2016 11:25 pm & filed under Cactus. Ariocarpus fissuratus is a geophytic star-shaped cactus from Texas. 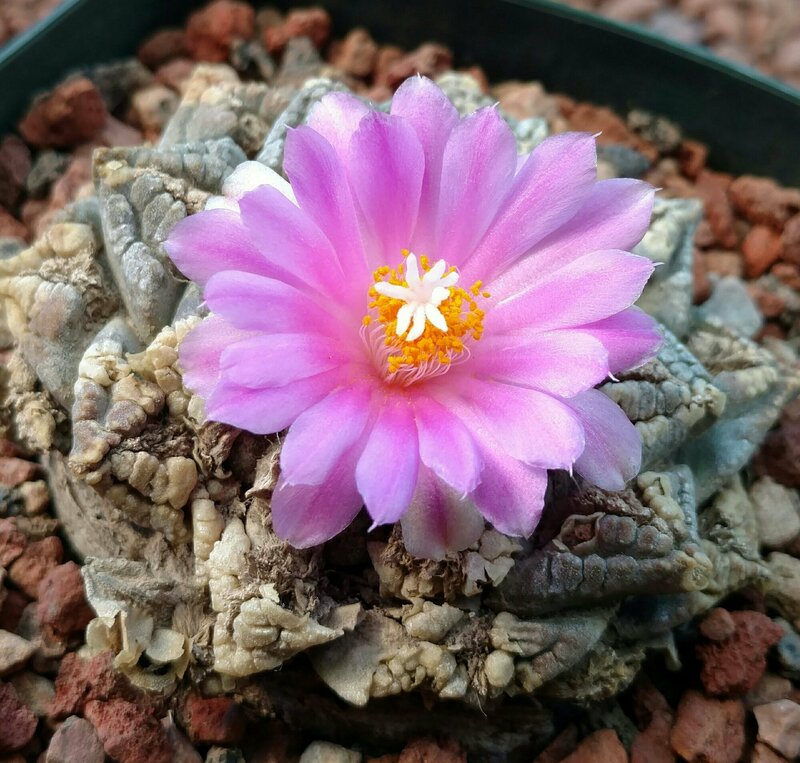 This one is pretty old, and the most perfect flower I’ve ever seen on an Ariocarpus. Won’t generally bloom unless they’re 10 plus years old. I’d guess this one is closer to 20.